A bizarre report from India in October 2007 seemingly confirmed the belief of many villagers in the existence of Pili Mara ― “Tiger Trees” ― so-called because of their desire to eat animals. On October 18 a young lady was walking in the field area between the buildings in the village of Patrame to go to the shop about midday, when she saw an amazing sight: a tree appeared to be lifting a struggling cow by its hind-quarters from the ground. The animal’s tail and hind legs were tangled in the plant’s limbs; only the cow’s front legs were touching dirt. When the cow pulled itself forward to escape, the tree appeared to respond by pulling the animal back. The young lady ran for help, and soon the tree’s branches were being cut by a local farmer... but the tenacious plant did not release its grip on the cow until the whole tree itself was cut down. A news team arrived weeks later. In interviews, the villagers stated that cows had come back from grazing in the past several months with injuries, often on their hind-quarters and tails, so they had suspected something was wrong. Another such tree in the area had been identified as a Pili Mara thirty years earlier when it had grabbed a bull belonging to a local villager, who explained to the reporters that they saved the animal by cutting the branches from the tree. The same villager explained that these 'Tiger Trees' can be calmed or killed by piercing them with iron; but the trees are difficult to identify, as several different species have been called Pili Mara... so it seems that rather than being a particular species of plant, the name is more a description of an individual plant’s behavior. But did the tree really attack the cow? 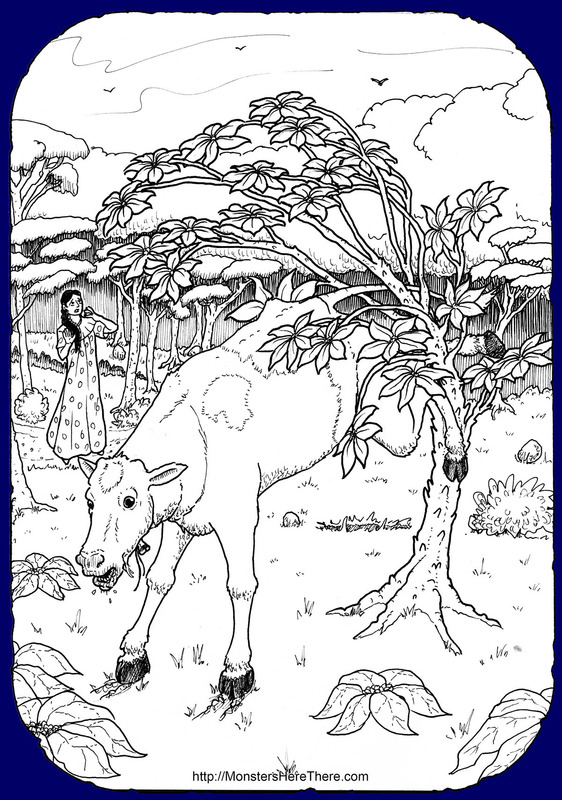 Some people believe the cow merely got its tail caught in the low branches of the tree, and then got its hind legs caught up as it tried to push the tree away. Maybe we’ll find out when the next Tiger Tree strikes!